You are here: Home » Columnists » Worried About Privacy? How About Common Core? There’s an intense debate right now over “Common Core,” a major effort to implement a set of federal education standards in public schools nationwide. The Common Core State Standards thus far have been adopted by 45 states and the District of Columbia. This person is an expert in the field of education. She is thoughtful, serious, and no foe of public education. Her concerns especially hit home given current fears over privacy intrusions by the federal government. Those fears have swirled around the National Security Agency, the Justice Department, and the IRS. But they don’t end there. 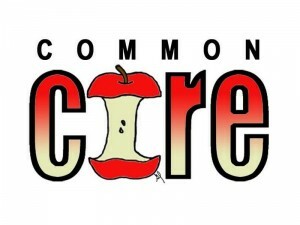 There are likewise potentially serious privacy problems involving Common Core, which likewise relate to data collection, dissemination, and use. For starters, the Common Core standards include a heavy testing component, which involves a great deal of data collection on students. Coupled with this heightened collection of student data is the prevalence of so-called “longitudinal state reporting systems.” According to my friend, as part of the “Race to the Top” initiative, a prior educational initiative, states were encouraged to create “robust data collection systems.” These systems were touted as a mechanism to provide school districts, state governments, and federal policymakers with more data to analyze trends in student achievement and improve educational efforts. While this might seem benign, notes my friend, we cannot ignore the sheer volume of data that will be collected and how that data might be misused. For instance, most parents have no idea that their child’s “personal information” includes not just test scores but social security numbers, attendance records, records of interaction with school counselors, identification of learning disabilities, and even disciplinary records.